Watch the Market – Especially as winter rolls around and mortgage interest rates climb, the housing market in Northern Colorado will inevitably cool off – this means you can expect housing prices to cool as well. Take a few minutes every day to check what’s out there, and be ready to act if you see a good deal hit the market. Discount homes for sale in Fort Collins don’t come up that often, but if you’re diligent, you’ll be surprised what you can find. Consider a Fixer-Upper – It’s no secret: the homes that are the best deals are those that need the most work. 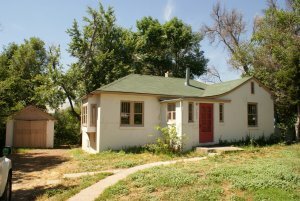 As you look for discount homes for sale in Fort Collins, don’t shy away from a place that needs some work. You can often make your money back easily on a discount home for sale in Fort Collins if you’re willing to put in a bit of sweat equity. Click here to learn more about how to leverage handyman and fixer-upper properties in Fort Collins. Look for Alternate Dwelling Types – While single-family homes are often the most popular homes for sale, you can often find great deals on alternate dwelling types, including apartment buildings, duplexes, condos, and so on. As a real estate investor or landlord, it’s never a bad idea to diversify your holdings, and as a homebuyer, you may be surprised at the good deals you’ll find if you give up the idea of buying a stand-alone home. Check Housing Programs – There are many housing programs for low-income homebuyers and first-time homebuyers, in Northern Colorado, depending on your budget and circumstances. Check out this helpful list of programs, grants, and nonprofits that could help you purchase a home in Fort Collins. Work with an Expert – When you’re trying to break into the Northern Colorado housing market and find discount homes for sale in Fort Collins, it’s best to work with an expert who understands the market and can help you find a smart investment. NOCO Invest has worked in the Northern Colorado real estate market for many years and knows the secrets of our market. We’re here to help investors and homebuyers find discount homes for sale in Fort Collins. Contact NOCO Invest! If you haven’t already, give us a call! We also come across many distressed single-family Fort Collins Colorado, properties because of our relationships in the market and secure those properties at substantial discounts. Many people call these properties fixer-uppers or “handyman specials.” Because of our very effective marketing programs, we’re able to get investment property deals in Fort Collins that most other investors never even hear about. We pass those savings along to you. Contact us to learn more about how this process works. NOCO Invest has a constant flow of investment properties and discount homes for sale in Fort Collins available for you. Get on our email list here – we’ll send you an email every time we have houses and properties available. You’ll be one of the first to know about these opportunities, many times before they even hit the market. Click here to learn more about how we make this happen and to get on our list.